I wanted to get dressed. Not that I spend my days naked. It’s just that the last few weeks I have been either driving or hiking and have been wearing the same clothes all the time. I wanted to wear something new (i.e. new to the trip new, as in, I packed it weeks ago but it never has come out of the bag new) Also after 4 days camping & hiking in the Flinders I needed a good shower. So I headed on a little detour to wine country and spent some time in both the Clare and Barossa Valleys and switched to holiday mode. Bliss. Some years ago I came here with friends for a long booze fuelled weekend of heavy wine shopping. The pace and consumption levels were a little different this time but the benefit of visiting here previously meant I knew exactly which wineries I wanted to return to. Now the boot of the car is packed with grape goodness to restore my good humour when I am back at work. 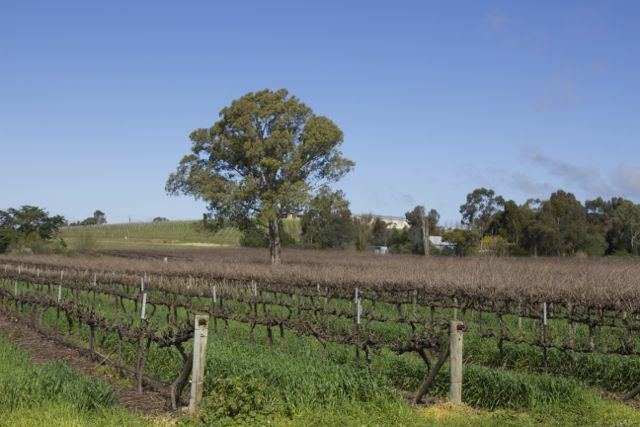 One of my favourites is Crabtree in Clare Valley, where I lost a great morning talking to Cheryl at the cellar door as I worked through the tasting menu. Yes morning, but it was after 10 when I started! I even managed to squeeze in a massage that afternoon. Tough gig. Tomorrow it’s back on the road and into the tent but tonight I have somewhere nice to stay, it even has a bath!! Holidays are great.